In response to high demand for more privacy control options from smartphone users, Surfshark has introduced a premium Split tunneling functionality to its Android app. The feature, which is rare in the Android market, will enhance the user experience by allowing selected apps and services to bypass VPN encryption without the need to turn the VPN service off. Android is the most popular operating system in the world, but most of the VPN providers fail to respond to the needs of Android users. 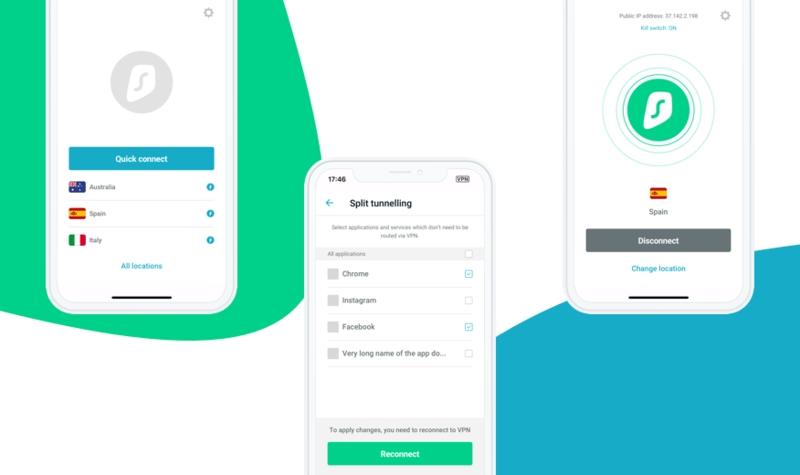 By launching Split tunneling for Android, we solved a frustrating problem when some apps don’t work with VPN. Such apps include those which require cellular connection or work only in specific locations, for instance, car parking or instant payment apps,” says Olivia Anderson, Chief Android Developer at Surfshark. Last month Surfshark announced that it had obfuscated all the servers so that even internet service providers would not know that the VPN service is being used. Also, earlier this year Surfshark introduced an advanced CleanWeb™ feature which allows users to block malware, trackers, and ads, as well as protects them from a growing number of phishing attacks. All the internet traffic sent to and from any devices using Surfshark is strongly encrypted and protected from tracking. The ever-expanding location selection list allows users to choose from hundreds of servers in 50 different countries, including the United States, Russia, Hong Kong, Germany, Israel, Vietnam, Singapore, Japan, and others.